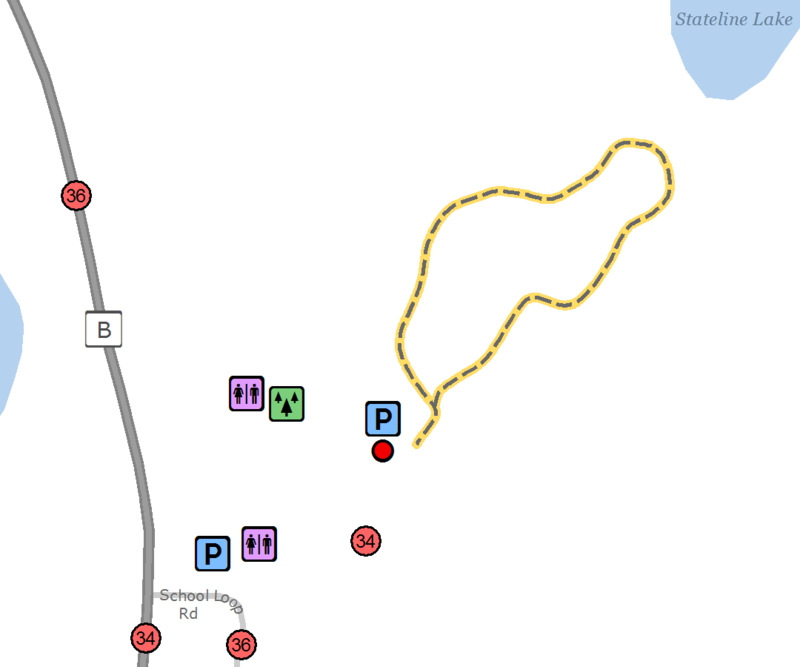 Location: From County Hwy B in Presque Isle, turn east on School Loop Road and the trailhead gate is located behind the Presque Isle Community Center. Provides marked, self-guided hiking trails winding through a variety of forest stages and past lake views. Restrooms onsite. With parking at the Presque Isle Community Center, this trail connects to the Presque Isle-Pomeroy-Henry Trails system.